This book is about why you should breastfeed not really how to or schedule, or practical application. I love ina May's books, but this fell flat. The narrator used emphasis and pausing for effect poorly and did not pronounce clinical terms correctly. I learned a little but not anything that will make a difference for me. extremely comprehensive, but one thing wrong. ..
there was one thing I didn't enjoy, the chapters are not labeled with titles so you're really left in the dark regarding which chapters discuss what topics, which makes it hard to reference back to specific information. loved this book from beginning to end. the content was fantastic, and informative. 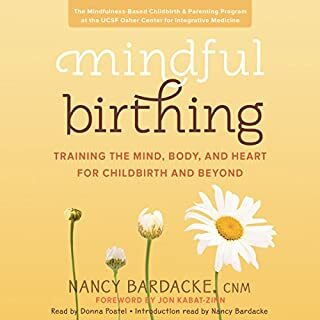 This book serves a springboard from which to build a foundation when you're first starting out learning about breastfeeding. she touches on a lot of resources so you can further build and even offers very detailed guidance about latching and any arising concerns. 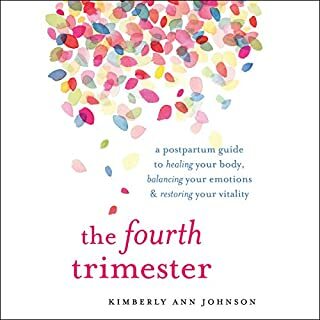 i definitely recommend it to both new mom's & experienced moms.I would venture to even say dads should listen because there's a lot of useful information for them too. I just finished it but will need to go through it a few more times because it's just that jam packed with information. The 1st chapter was a bit offputting and heavy handed on selling breastfeeding. But the rest of the book was great, would recommend. Comprehensive. After listening I also bought this book to be able to quickly reference specifics in the chapters. The narrator is terrible. She pauses in horrible spots and has no reading fluency. Ina has tons of experience but I would have liked more research studies mixed in. Also, a large chunk of the book is devoted to convincing us to breastfeed and convincing large corporations of the importance. Not relevant. Felt more informational than instructional. 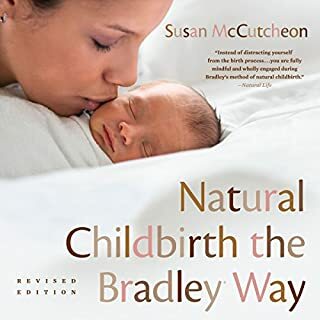 The last few chapters were particularly hard to get through, providing extension info on spontaneous lactation in non-mothers and on the need for more cultural acceptance of breast feeding. 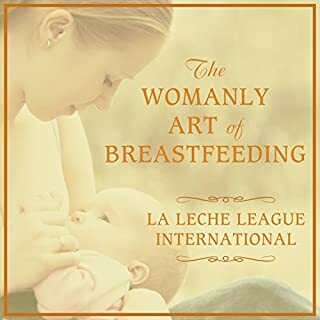 I feel that one would not have interest in reading a "Breast Feeding Guide" unless they were a nursing mother and a proponent of breast feeding; 3-4 hrs on the topics seemed quite pointless and even annoying. I was very happy with this book and learned a lot more than I even thought I already knew. Highly recommend this book!! Very knowledgeable and informative book. I like the fact that she is taking about breastfeeding and different breastfeeding stories. Would you try another book from Ina May Gaskin and/or Margaret Strom? This book is one of the reasons why there is mom-shaming. From the very first chapter, the author goes into great depth how formula products and companies are horrible. 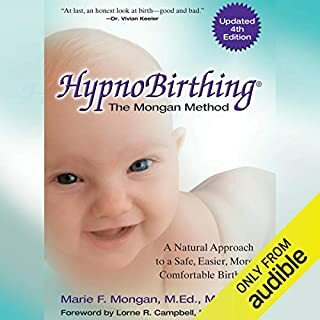 I got this book to learn tricks and lessons on how to breastfeed, not to be convinced of the author's values and dislikes. Then the author gives anecdotal evidence that breast feeding must be good because there are adults that were breastfeed until age 4 and have wonderful memories of it. Really, that is what she calls evidence? Then the author portrays doctors as not knowing what to do, being rude to their patients and not being qualified to help nursing mothers. It was just another anecdotal story to so the author could try to prove her point about something and it was a ridiculous way of doing it. The last straw, when I stopped listening to the book all together, was when the author recommended that vaccines should not be given at birth and that the child can wait until 6 months of age. Are your kidding me????? The author provided no scientific based facts to back up her ridiculous claim and all the while putting infants at risk by her stupid anecdotal stories to try to back up her ridiculous ideas. Lets just say, I was infuriated at this point. I wish I had not spent the money on this book. I am shocked how many good reviews it got - kind of scary actually. I then bought &quot;The Womanly Art of Breastfeeding&quot; and LOVE it. It discussed pros and cons of each way of feeding your child, it is not judgmental and it actually has real science behind it and how to breastfeed properly with tips and tricks. Don't waist your money or your credits on Ina May's book. Ina May Gaskin gives the best advice , I loved the stories from the farm & all the information about breastfeeding has been such a great help even 7 months in! Would recommend to anyone who wants to or who is breastfeeding also to those support functions like family, partners & doulas. Not really relevant anywhere outside of the US. It is more about the culture of breastfeeding, and why breast is best, than anything else. I don’t really need convincing to breastfeed, as in Australia it is considered normal. It did have some interesting info but overall didn’t find this a necessary read.